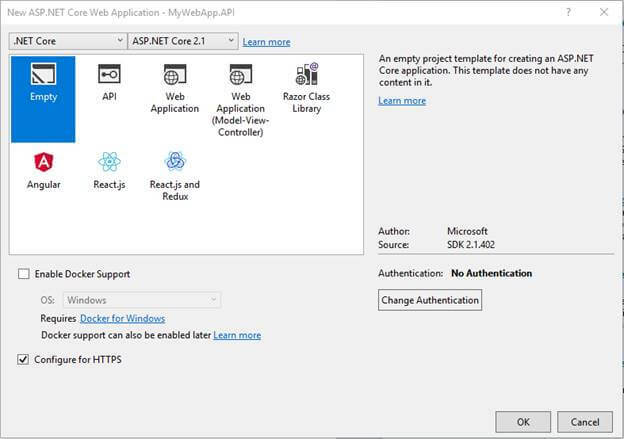 A few months ago, I wrote an article on how to create a common object response wrapper for your ASP.NET Core and Web API applications. I also made two versions of NuGet packages for the wrapper which can be found below. I was surprised that both NuGet packages had hundreds of downloads now and I got a few comments and emails from developers asking for a tutorial on how to actually use them in a project. This article aims to answer those frequently asked questions that I received; so here you go. Before we start, I’d like to thank those folks who are looking into this library and probably tried out. I really appreciate all your feedback on this library and I hope somehow this helps in your projects. Without further ado, let’s see in action how we are going to use it in the application. Let’s go ahead and fire up Visual Studio 2017. Create a new Project by navigating through File > New Project. 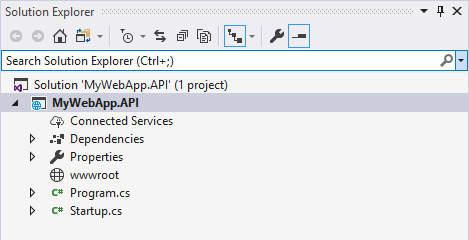 On the left pane of the New Project dialog, select Installed > Visual C# > Web > .NET Core > ASP.NET Core Web Application. 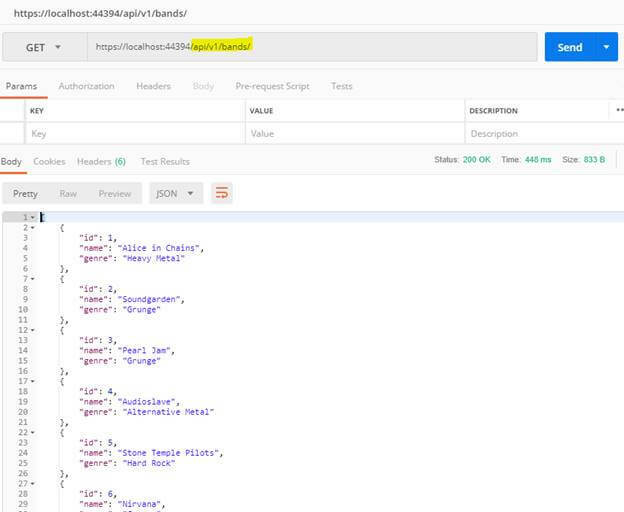 Name the project to whatever you like but for this demo, let’s just call it “MyWebApp.API” as shown in the figure below. Click OK and it should take you to the next screen, as shown in the figure below. Select Empty and then click OK to let Visual Studio generate the default project files and dependencies for you. Here’s the default generated files. Let’s take a quick overview of each file generated. Dependencies - contains Analyzers, NuGet and SDK dependencies needed for the application. 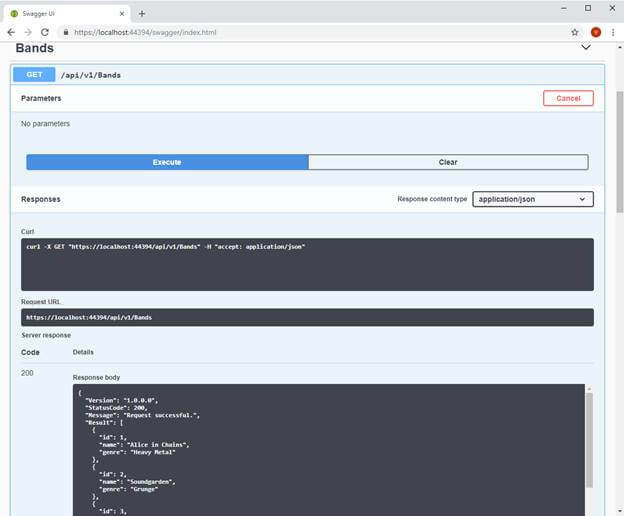 Properties - contains the JSON file which manages application configuration settings associated with each debug profile such as IIS, IIS Express and the application itself. This is where you define profile-specific configuration (Compilation and Debug profiles) for frameworks used in the application. Startup.cs - this is where you put your startup and configuration code. Program.cs - this is where you initialize all services needed for your application. Models are nothing but just plain classes that house a few properties for holding information. Now, let's get back to work. Assuming that we have the following class that defines the mocked data. 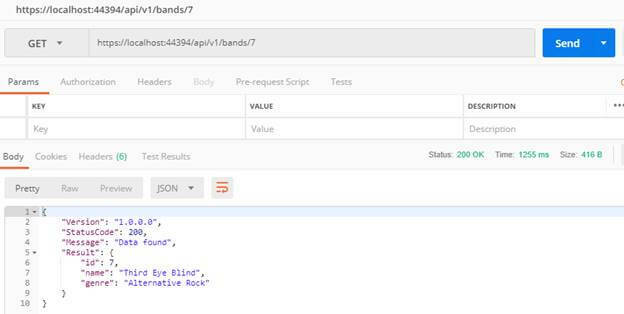 The class above is nothing but just a plain class with a public static method called GetBands(). The method defines a List of type Band and added some default records to the collection. The Controller class above contains the four basic HTTP methods such as GET, POST, PUT and DELETE. This is how a typical RESTful API looks like. Notice that you can’t find any code implementation for POST, PUT and DELETE. That’s because we’re not dealing with a database or in-memory data store here. I just included them there, so you can visualize how the endpoint looks like. At this point, the API works but the problem is it doesn’t give the developers a meaningful response. We know that the data is a very important part of the response. 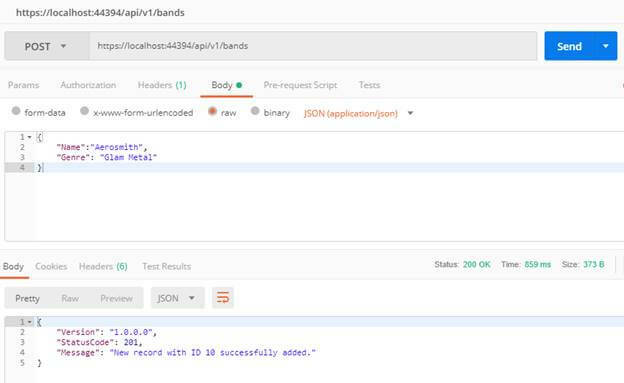 However, spitting out just the data as the JSON response isn’t really helpful especially when there’s an unexpected behavior happens between each request. 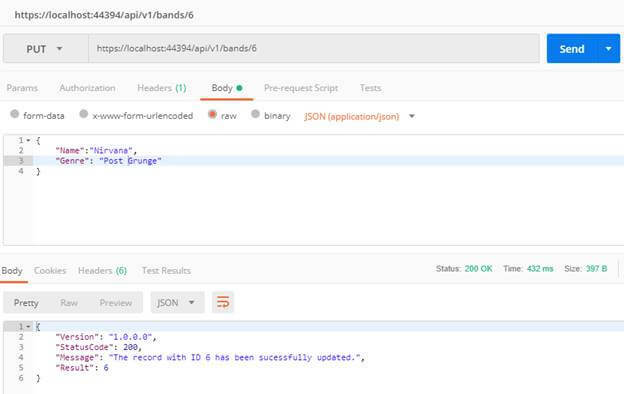 As a quick recap, if you are taking a RESTful approach to your API, then you will be utilizing HTTP verbs such as GET, POST, PUT and DELETE. Each of these actions may return different types depending on how your method/action is designed. Your POST, PUT and DELETE end-points may return a data or not at all. Your GET end-point may return a string, a List<T>, an IEnumerable, a custom class or an object. On the other hand, if your API throws an error, it will return an object or worst an HTML string stating the cause of the error. 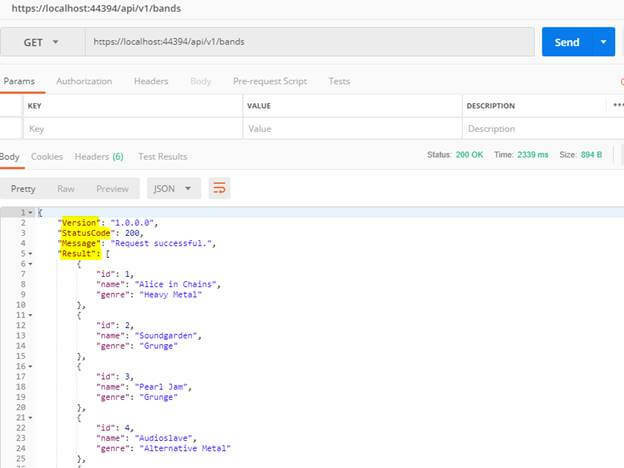 The differences among all of these responses make it difficult to consume the API because the consumer needs to know the type and structure of the data that is being returned in each case. Both the client code and the service code become difficult to manage. That’s why I came up with a library that provides consistency of response format for both successful and error results. 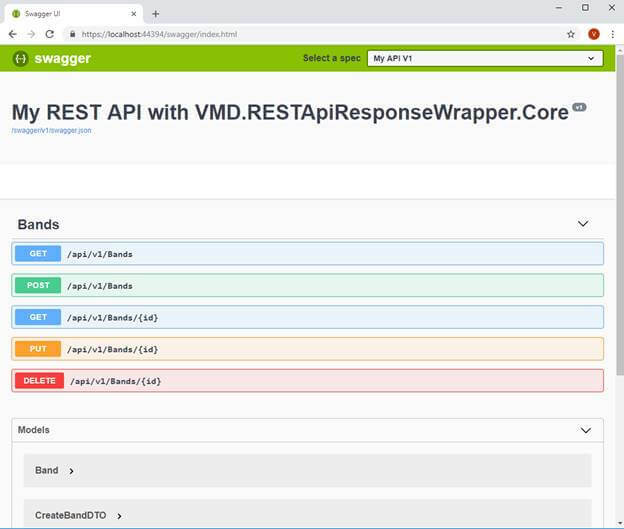 Integrating the VMD.RESTApiResponseWrapper.Core Library in 3 Easy Steps! Download and Install the library from NuGet. The latest version as of this time of writing is v1.0.4 which is targeted for ASP.NET Core 2.1 version. Declare the namespace below within Startup.cs. Make sure to register it "before" the MVC middleware. You notice that the response object now contains a few properties such as Version, StatusCode, Message and that the actual data is being stored in the Result property. Here’s another sample output when we try to point to a URL which doesn’t exist. Any unexpected error that could possibly happen will be handled automatically without doing anything on your side. You can notice that the response output is dynamic. By dynamic, I mean instead of including the Result property, we omitted that and use the ResponseException property instead for errors and exceptions information. Let’s move on by modifying our existing API endpoints to return a message for other HTTP verbs. Notice that the response object are consistent for every HTTP action requests. This definitely gives better and meaningful information to your API consumers. Model validations allow you to enforce pre-defined validation rules at a class/property level. You'd normally use this validation technique to keep a clear separation of concerns, so your validation code becomes much simpler to write, maintain, and test. As you have already known, ASP.NET Core 2.1 introduced the APIController attribute which performs automatic model state validation for 400 bad request error. When the Controller is decorated with APIController attribute, the framework will automatically register a ModelStateInvalidFilter which runs on the OnActionExecuting event. This checks for the model state validity and returns the response accordingly. This is a great feature, but since we want to return a custom response object instead of the 400 bad request error, we will disable this feature in our case. 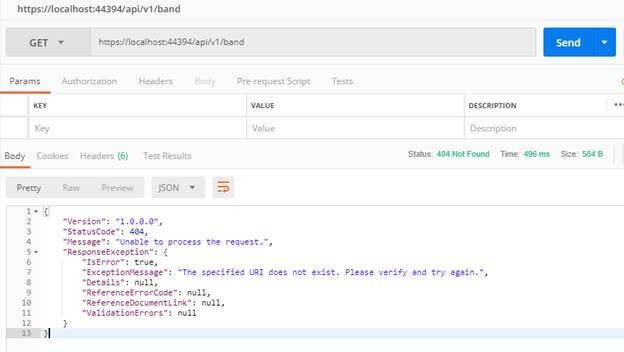 Let’s modify our CreateBandDTO class to implement a basic model validation using Data Annotation. Here’s the modified code below. Now when we run the app again and issue a POST request, it should result in something like in the figure below when a Name property is left out empty. If for some reasons you don’t want to use the System.ComponentModel.DataAnnotations for validating your Models and wanted to use FluentValidation, you can also do that. Let’s take a look at a quick example how can integrate FluentValidation. You can also use the NPM console to install it by running the following command. You notice that we are not using the Required and MaxLenght Attributes anymore for enforcing pre-defined validations rules to the Model. Instead we keep them plain and simple. What I like about FluentValidation is we can separate the logic for the validation by creating a Validator class for each Model that we want to implement some constraints and other validation rules. Here’s a sample screenshot of the response when a Model validation fails. Having an informative, consistent and meaningful response like this should help developers easily consumes your API and troubleshoot issues. You can use the ApiException object to return error and exception message. For example, the following code handles and simulates an unexpected error that could happen to your code using try-catch block. You can also use the ApiException to throw your own message when your custom code validation fails. For example, if your code validates a user credentials and it fails, you could do something like this. 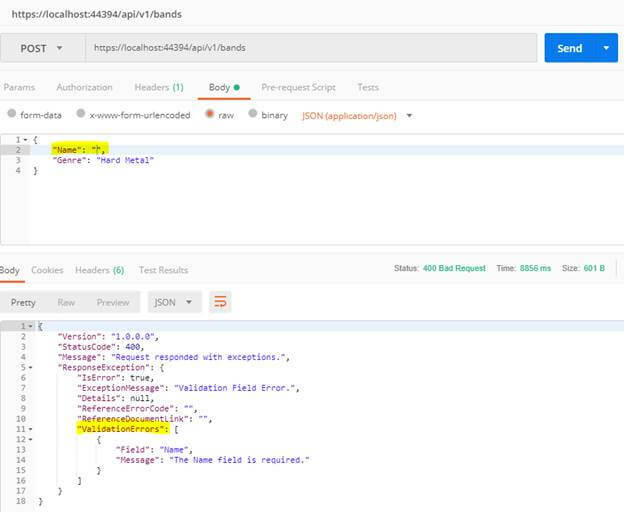 Swagger provides an advance documentation for your APIs where it allows developers to reference the details of your API endpoints and test them when necessary. This is very helpful especially when your API is public and you expect many developers who will use it. To enable swagger to your API application, go ahead and download and install Swashbuckle package via NPM, as shown in the figure below. Add the following code at the ConfigureServices() method of Startup.cs file. 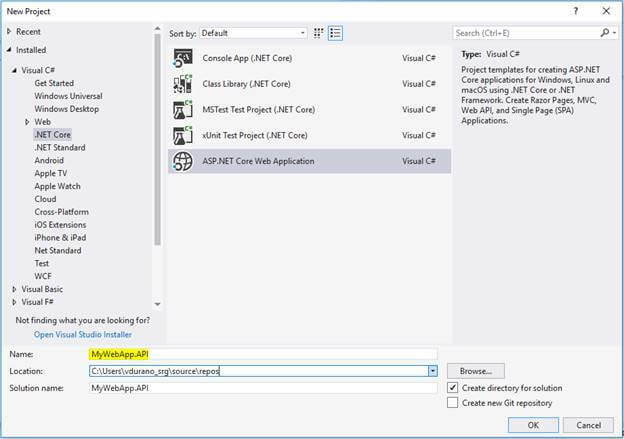 In this article, we’ve learned how to incorporate the VMD.RESTApiResponseWrapper.Core package library to your ASP.NET Core 2.1 application. Feel free to try it out. Comments and suggestions are welcome, so feel free to drop a message and I’d be happy to answer any queries as I can.